The warm weather is here and we are all spending more time outside. Whether you are playing golf, tennis, bike riding, swimming, sailing or just catching a few rays during lunchtime, sunglasses should be a very important part of your summer wardrobe. At Europtics, we have a huge selection of name brand designer sunglasses available in prescription and non-prescription. Before you come in to pick out that perfect pair of sunglasses for summer, we thought we would share this infographic about the various sunglasses tints available to help you select that perfect pair for your needs. Stop in and let us show you the different tints we can make for you based on your needs. With 300 plus days of sunshine every year in Colorado, we like our sunglasses around here. We have seen some great strides in both styles and in sunglass technology over the last couple of years. We are however, really excited about our newest addition, TAVAT sunglasses, now available at Europtics Cherry Creek North location. Not only are these great looking sunglasses, but TAVAT sunglasses have a whole new TLT lens technology called Melanin. TAVAT’s sunglasses are infused with a synthetic melanin to provide improved clarity, enhanced contrast and ultimate eye protection without any color distortion. The synthetic melanin act in much the same way natural melanin does, blocking both UV rays and up to 98% of harmful violet-blue light which contributes to age-related macular degeneration. This added filter enhances contrast and true colors for a sharper image. TAVAT sunglasses are also available with a polarizing filter, making these sunglasses great for sports enthusiasts and drivers alike. Stop into Europtics Cherry Creek North location today and try on a pair of these amazing TAVAT sunglasses from Italy for yourself! 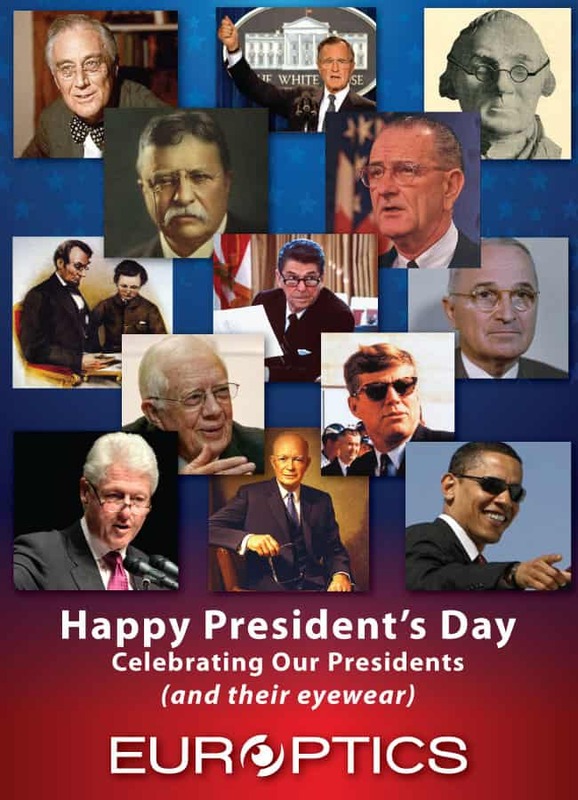 Come into Europtics today and let us give you the Presidential treatment. February is recognized as Low Vision Awareness Month to bring awareness to conditions that are not often curable, but in some cases preventable. 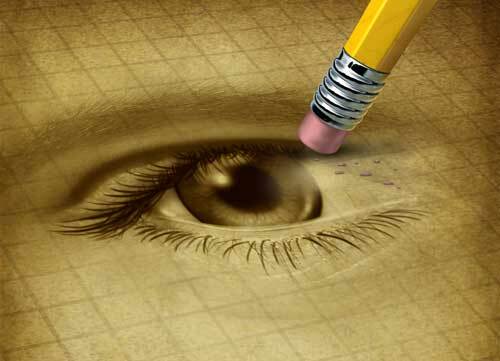 One of those conditions is AMD or Age-Related Macular Degeneration. AMD cannot be reversed, but it can be reduced and often managed. The National Eye Institute has shared this infographic showing some of the risk factors that contribute to AMD and some of things we can all do as we age to reduce our risks. AMD is best managed when caught early. A comprehensive eye exam by one of the independent eye doctors inside Europtics is one way to give you and your loved ones peace of mind. Click here or call the closest Europtics location to schedule an exam today! Did you get a new mobile phone for the holidays? Perhaps a new tablet was waiting for you under the tree? Are waiting to get an Apple Watch when they are released in March? More and more of us are spending more and more time with digital devices and they are only becoming an ever more present part of our lives. While they are convenient and provide a world of information at our fingertips, they are also to blame for digital eye strain. Most of us who spend a lot of time with our smartphones or tablets experience digital eye strain and don’t even know it. 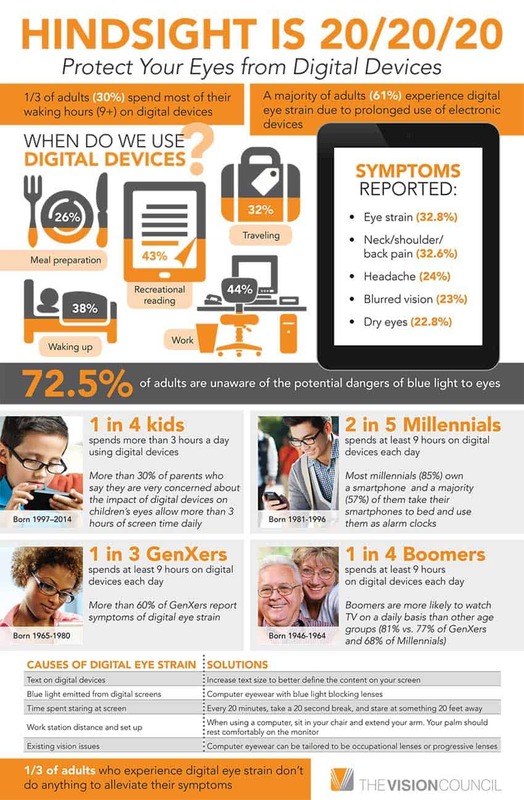 The folks at The Vision Council have put together this infographic on Digital Eye Strain and how to reduce it If you work a lot online or experience tired eyes more than you used to, schedule an eye exam with the independent doctors of Optometry at Europtics today and let us see if perhaps your digital devices are to blame. The eye is a remarkable mechanism. Of course we are biased since we have made eyes our life’s work. The folks at TED-Ed and TED Talks have put together this video highlighting the evolution of the eye and where we might even go from here with science. Stop into any Europtics location today and let us show you some truly evolutionary eyewear! Glaucoma affects nearly 3 million Americans over the age 40. Glaucoma is often referred to as “the sneak thief of sight” since there are no symptoms and once vision is lost, the damage is permanent. Often as much as 40% of vision can be lost before most persons affected notice the loss. Glaucoma is the second leading cause of blindness worldwide. Yet, glaucoma is a preventable blindness. While there is no cure, early detection can help determine treatment options to stop further damage such as surgery or medication. Make an appointment today with one of the fine independent doctors of optometry inside any of the Europtics Denver locations. Europtics is one of the first optical shops in the world to carry the new line of eyewear from world famous designer Blake Kuwahara. Each eyeglass and sunglass are handmade in Japan and individually crafted out of richly colored Italian and Japanese acetates with one model incorporating titanium. Kuwahara’s bold experimentation and innovation have gained him a following in the fashion media and has been profiled in Vogue, ELLE, Bazaar, GQ, In Style, and Esquire and has been seen on E!, Access Hollywood, MTV, and CNN. Buzz magazine voted Kuwahara one of the “100 Coolest People in Los Angeles” and Detour magazine called him, “a gifted talent, blessed with savvy and unmistakable sense of style.” Kuwahara was recently named by Brilliant Magazine as one of the “100 Most Important People in the Eyewear Industry”. 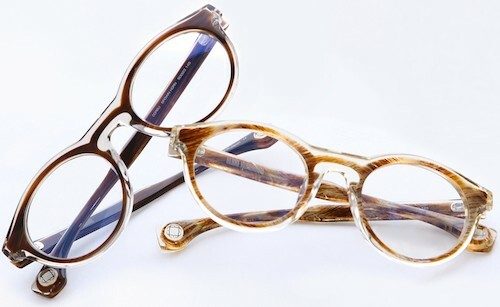 Kuwahara has also collaborated extensively on eyewear collections for Kata, John Varvatos, Carolina Herrera, Isaac Mizrahi, Behnaz Sarapfour, Hanae Mori, and Coach. We are anxiously awaiting the arrival of these exquisitely designed eyeglasses to arrive shortly at our Cherry Creek North location. 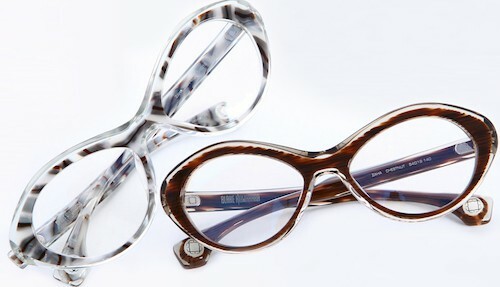 Europtics is proud to bring the Lucas de Staël line of handmade eyewear to Colorado. Lucas and his team turned an old Parisian printing factory into a frame workshop where optical designers, artists and jewelers work together to create some of the finest eyewear anywhere. Each piece is made of high quality surgical stainless steel, cut in Italy, welded in Paris, colored in Germany and then returned back to Paris where they are combined with organic materials such as wood, leather or stone to create truly unique pieces of optical art. An average of 31 different steps are required to produce each frame, of which each artisan is able to produce 3 frames a day. Lucas de Staël was awarded the SILMO D’OR 2014 eyewear design award at the Silmo International Optical and Eyewear Trade Fair this past fall. Stop into Europtics Cherry Creek North location today and try on this remarkable eyewear for yourself.